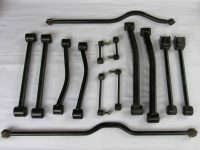 I have a full stock suspension set containing front and rear track bars, all 8 control arms, and front and rear sway bar links. All came off a 2012 Jeep Wrangler JK Rubicon 2dr. 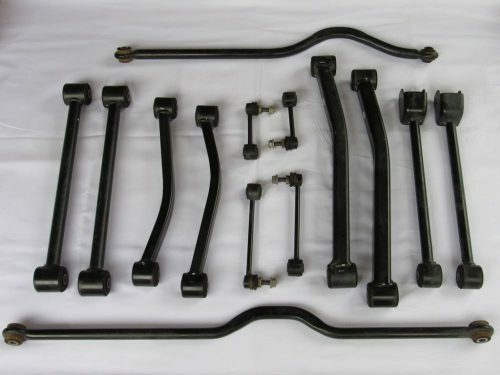 Will fit any 2007-2018 Jeep JK. Everything in excellent condition, nothing is bent or rusted.